Air vice-marshal (abbreviated as AVM) is a two-star air officer rank which originated in and continues to be used by the Royal Air Force. The rank is also used by the air forces of many countries which have historical British influence and it is sometimes used as the English translation of an equivalent rank in countries which have a non-English air force-specific rank structure. Air vice-marshals may be addressed generically as "air marshal". As of August 2014, air vice-marshal was the highest uniformed military rank currently held by a woman in the British Armed Forces when Air Vice-Marshal Elaine West was awarded the position in August 2013. In 1920, Sir Willoughby Gwatkin, the former Canadian Chief of the General Staff, was granted the rank of air vice-marshal and appointed the inspector-general of the newly established Canadian Air Force. The Australian Air Corps adopted the RAF rank system on 9 November 1920 and this usage was continued by its successor, the Royal Australian Air Force. However, the rank of air vice-marshal was not used by the Australian Armed Forces until 1935 when Richard Williams, the Australian Chief of the Air Staff, was promoted. Margaret Staib of the Royal Australian Air Force served in the rank of air vice-marshal from 2009 to 2012 when she retired from the Australian Defence Force. In the Royal New Zealand Air Force, the rank did not come into use until 1943 when Leonard Isitt was appointed Chief of the Air Staff in succession to a British air commodore who had been on loan service. 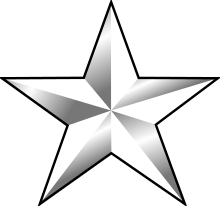 The rank of air vice-marshal is also used by a number of the air forces in the Commonwealth, including the Bangladesh Air Force, Ghana Air Force, Indian Air Force (IAF), Pakistan Air Force (PAF), Royal Australian Air Force (RAAF) and Royal New Zealand Air Force (RNZAF) where it has been the rank held by the Chief of the Air Staff (now known as the Chief of Air Force) since 1943. It is also used in the Egyptian Air Force, Hellenic Air Force, Royal Air Force of Oman and the Royal Thai Air Force. In the Indonesian Air Force the equivalent rank is marsekal muda (literally "junior marshal") which is usually translated as air vice-marshal in English. Compare this with the next rank up which is "marsekal madya" (literally "middle marshal") which is usually translated as air marshal in English. The Royal Canadian Air Force used the rank until the 1968 unification of the Canadian Forces, when army-type rank titles were adopted. Canadian air vice-marshals then became major-generals. In official French Canadian usage, the rank title was vice-maréchal de l'air. The Royal Malaysian Air Force used the rank until the late 1970s when it was replaced with mejar jeneral (major-general). ↑ "Ranks and Badges of the Royal Air Force". Royal Air Force. 2007. Archived from the original on 13 November 2007. Retrieved 26 November 2007. ↑ "Women's Auxiliary Australian Air Force (WAAAF) in Australia during WW2". Oz At War. Retrieved 2 August 2014. ↑ Barrass, Malcolm (3 November 2007). "Major-General E B Ashmore". Air of Authority – A History of RAF Organisation. Archived from the original on 2 October 2009. Retrieved 1 October 2009. ↑ Barrass, Malcolm (16 June 2007). "Air Vice-Marshal Sir Sefton Brancker". Air of Authority – A History of RAF Organisation. Archived from the original on 6 October 2009. Retrieved 1 October 2009. ↑ Barrass, Malcolm (16 June 2007). "Marshal of the RAF Sir Edward Ellington". Air of Authority – A History of RAF Organisation. Retrieved 1 October 2009. ↑ Barrass, Malcolm (16 June 2007). "Air Marshal Sir John Higgins". Air of Authority – A History of RAF Organisation. Retrieved 1 October 2009. ↑ Barrass, Malcolm (29 July 2009). "Rear Admiral (Air Vice-Marshal) Sir Godfrey Paine". Air of Authority – A History of RAF Organisation. Retrieved 1 October 2009. ↑ Barrass, Malcolm (7 October 2007). "Air Chief Marshal Sir Geoffrey Salmond". Air of Authority – A History of RAF Organisation. Retrieved 1 October 2009. ↑ Barrass, Malcolm (30 November 2008). "Marshal of the RAF Sir John Salmond". Air of Authority – A History of RAF Organisation. Archived from the original on 11 November 2009. Retrieved 1 October 2009. ↑ Barrass, Malcolm (17 June 2007). "Air Vice-Marshal The Rt. Hon. Sir Frederick Sykes". Air of Authority – A History of RAF Organisation. Archived from the original on 28 October 2009. Retrieved 1 October 2009. ↑ Barrass, Malcolm (9 October 2007). "Marshal of the RAF The Viscount Trenchard of Wolfeton". Air of Authority – A History of RAF Organisation. Retrieved 1 October 2009. ↑ "Woman RAF officer joins top military brass". BBC News. 23 August 2013. Retrieved 2 August 2014. ↑ "GWATKIN, Sir WILLOUGHBY GARNONS – Volume XV (1921-1930)". Dictionary of Canadian Biography. Retrieved 2 August 2014. ↑ Chinnery, Philip D., Vietnam: The Helicopter War, Annapolis, Maryland: Naval Institute Press, 1991, ISBN 1-55750-875-5, p. 39.